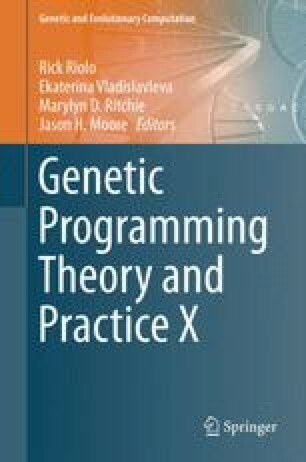 Recent advances in symbolic regression (SR) have promoted the field into the early stages of commercial exploitation. This is the expected maturation history for an academic field which is progressing rapidly. The original published symbolic regression algorithms in (Koza 1994) have long since been replaced by techniques such as pareto front, age layered population structures, and even age pareto front optimization. The lack of specific techniques for optimizing embedded real numbers, in the original algorithms, has been replaced with sophisticated techniques for optimizing embedded constants. Symbolic regression is coming of age as a technology. As the discipline of Symbolic Regression (SR) has matured, the first commercial SR packages have appeared. There is at least one commercial package on the market for several years http://www.rmltech.com/. There is now at least one well documented commercial symbolic regression package available for Mathmatica www.evolved-analytics.com. There is at least one very well done open source symbolic regression package available for free download http://ccsl.mae.cornell.edu/eureqa. Yet, even as the sophistication of commercial SR packages increases, there have been glaring issues with SR accuracy even on simple problems (Korns 2011). The depth and breadth of SR adoption in industry and academia will be greatly affected by the demonstrable accuracy of available SR algorithms and tools. In this chapter we develop a complete public domain algorithm for modern symbolic regression which is reasonably competitive with current commercial SR packages, and calibrate its accuracy on a set of previously published sample problems. This algorithm is designed as a baseline for further public domain research on SR algorithm simplicity and accuracy. No claim is made placing this baseline algorithm on a par with commercial packages – especially as the commercial offerings can be expected to relentlessly improve in the future. However this baseline is a great improvement over the original published algorithms, and is an attempt to consolidate the latest published research into a simplified baseline algorithm of similar speed and accuracy. The baseline algorithm presented herein is called Age Weighted Pareto Optimization. It is an amalgamation of recent published techniques in pareto front optimization (Kotanchek et al., 2007), age layered population structures (Hornby 2006), age fitness pareto optimization (Schmidt and Hipson 2010), and specialized embedded abstract constant optimization (Korns 2010). The complete pseudo code for the baseline algorithm is presented in this paper. It is developed step by step as enhancements to the original published SR algorithm (Koza 1992) with justifications for each enhancement. Before-after speed and accuracy comparisons are made for each enhancement on a series of previously published sample problems.